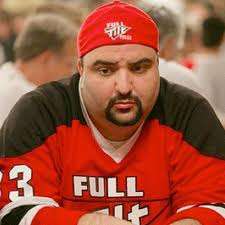 At a hearing in federal court in Manhattan, lawyers for former Full Tilt Poker CEO Ray Bitar announced that Bitar has reached an “unusual” plea agreement with the U.S. government in his Black Friday criminal case. The agreement will cost Bitar most of his personal assets but likely will allow him to avoid jail time. His lawyers also revealed that Bitar urgently needs a heart transplant. He is not expected to live another year without one. Full terms of Bitar’s plea agreement have not yet been made public. In open court his lawyers indicated that Bitar will plead guilty to two felonies and will agree to an asset forfeiture judgment of approximately $40 million. Those assets are to consist of a “very substantial” amount of his personal property, including his current home, a multi-million-dollar mansion in Glendora, California. Despite being on the verge of resolving the case, Bitar has a clouded future at best. He is a Class IV heart transplant patient, the most severe rating on the New York Heart Association’s classification of heart failure. Bitar’s only options for recovery, according to his doctors, are either a heart transplant or the implantation of an artificial heart. Bitar is scheduled to go before a heart transplant board on May 6 to determine his suitability for transplant surgery. In the absence of a transplant or implantation of an artificial heart, his doctors predict that Bitar has a 50% chance of dying in the next 6 to 12 months. According to Bitar’s lawyers, the U.S. Attorney’s Office “humanely” agreed not to oppose a request that Bitar’s plea deal and sentence not include any jail time due to Bitar’s heart condition. Lawyers for both sides acknowledged that imprisonment would be “extremely incompatible” with treatment Bitar would require before and after transplant surgery. In addition, Bitar would likely be rejected by any heart transplant board as a transplant recipient if he were to face the prospect of a prison term following surgery. The May 6 heart transplant board hearing date has greatly increased the speed at which the remainder of the case will play out. Because Bitar’s doctor’s have advised that he not travel, Bitar’s allocution is expected to be taken via video from California in the next 7 to 10 days. At that time, Bitar will plead guilty to two felonies and will agree to the terms of the deal hammered out with the USAO. Bitar will then immediately be sentenced by the Hon. Loretta Preska, the presiding judge in the case. While there is a small risk that Judge Preska could order jail time, it’s unlikely for two reasons: the government isn’t opposing the defense request that Bitar not be jailed, and jail time could be tantamount to a death sentence for Bitar. Bitar’s plea deal and sentencing represent the last of the loose ends that are likely to be resolved in the Black Friday criminal cases that were unsealed by the U.S. government on April 15, 2011. 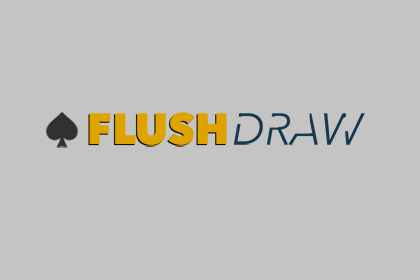 Once Bitar is sentenced, the only remaining unresolved charges will be those against former PokerStars chairman Isai Scheinberg, former PokerStars Director of Payments Paul Tate, and UB co-founder Scott Tom. Scheinberg and Tate are never expected to return to the U.S. to face the charges against them. Tom’s whereabouts are unknown.